Crested Butte draws people because it is friendly, beautiful, fun-spirited, and surprisingly sophisticated for such a small town. Here we’re fortunate to have two distinct worlds — a great ski mountain with contemporary amenities in Mt. 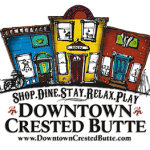 Crested Butte, just three miles away from the charming, historic Victorian downtown of Crested Butte. When you stay in downtown Crested Butte, you can take a vacation from your car… and your cares. 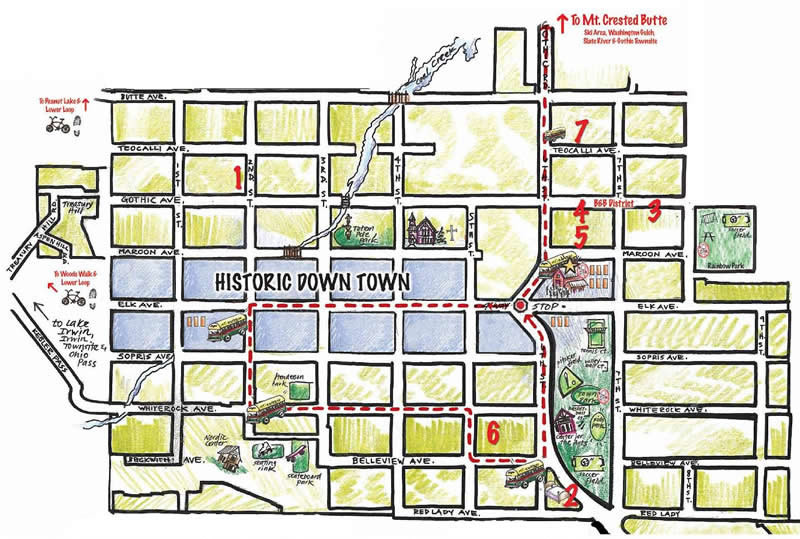 Stroll beneath antique streetlights to your favorite shops, galleries, eateries or trailheads. Hop the free shuttle for a ten-minute ride to the slopes. Celebrate each day’s adventures not in some generic chain hotel room, but in a charming home-away-from-home that makes you feel as good as Crested Butte does. Downtown Crested Butte lodging is unique, reflecting the inviting character of our hometown. 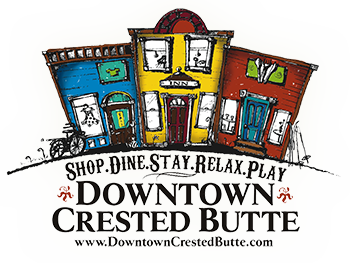 Stay Downtown Crested Butte. Accommodations are unique, reflecting the inviting character of our hometown. INQUIRE WITHIN: We’re crazy busy, but that doesn’t mean there aren’t some specials out there. Please check with individual lodging websites directly for offers. Crested Butte is a unique place. The locals take a lot of pride in that.... that's the glue that keeps everybody together. Crested Butte is by far the coolest and most authentic ski town in the lower 48, while the mountain lays claim to the best terrain in all of Colorado. For how small the “downtown” area of Crested Butte is, there’s a high density of rave-worthy restaurants. Born as a mining town, as many of Colorado’s ski resorts were, Crested Butte is a lot like the wildflowers for which it is famous: small, hardy and charming. This place is one of the few real ski towns left. The mountain appeals to families from Texas and has a fantastic ski school. But it’s also home to some of the most extreme terrain around.